Open days at The Lonnen – Saturdays 7, 14, 21 and 28 November. Home buyers are being invited to see new family homes for sale in the west of Gateshead. The homes at The Lonnen, Ryton, are now completed and can be viewed from 2pm to 4pm on Saturdays 7, 14, 21 and 28 November. The properties comprise three- and four-bed semi-detached family houses for sale. The homes have stunning views, with good transport links, and are close to Crookhill Community and St Mary and St Thomas Aquinas Catholic Primary Schools. All properties come complete with a white goods package as standard. Ryton offers a range of local amenities including shops, schools, churches, public houses and hotels, along with public transport through the village. There is good access via the bypass to the intu Metrocentre shopping centre, Gateshead town and Newcastle City centre, as well as the A1 motorway. There are also many nice walks through the village towards the river. Each new home was designed to meet modern family needs and have been built to level three of the government’s code for sustainable homes. They incorporate a number of sustainable features to reduce heat loss and help make domestic running costs even more affordable. 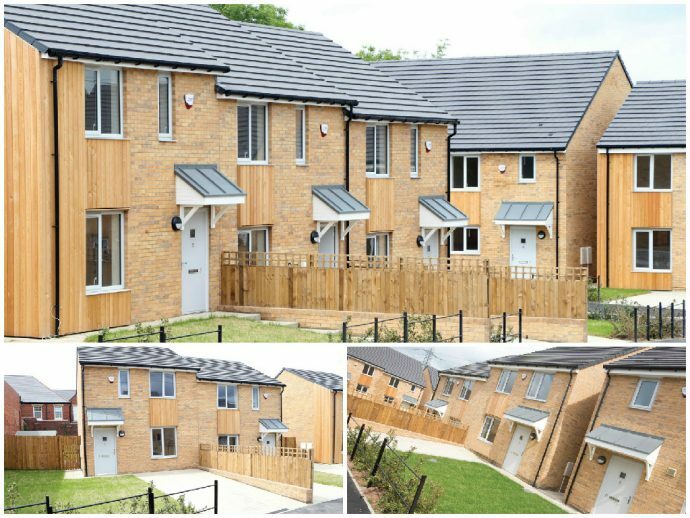 The £2 million development was built by Galliford Try Partnerships North on behalf of Keelman Homes, a charitable organisation which works alongside The Gateshead Housing Company and Gateshead Council. Local architect Gradon Architecture designed the homes which are on the sites of a former older persons’ residential home at The Lonnen. To find out more about the open days email Your Move’s Crawcrook office or call 0191 413 5051.